New version 3.5.2.0 for Mac. Remote Desktop Manager lets you centralize all your remote connections, passwords and credentials into a unique platform. There is a Free and Enterprise edition available. Full option Remote connections for the private or company administrator. REMOTE DESKTOP MANAGER for Mac is a real sophisticated piece of software. The interface ( windows like ) is clean, so is the menubar. 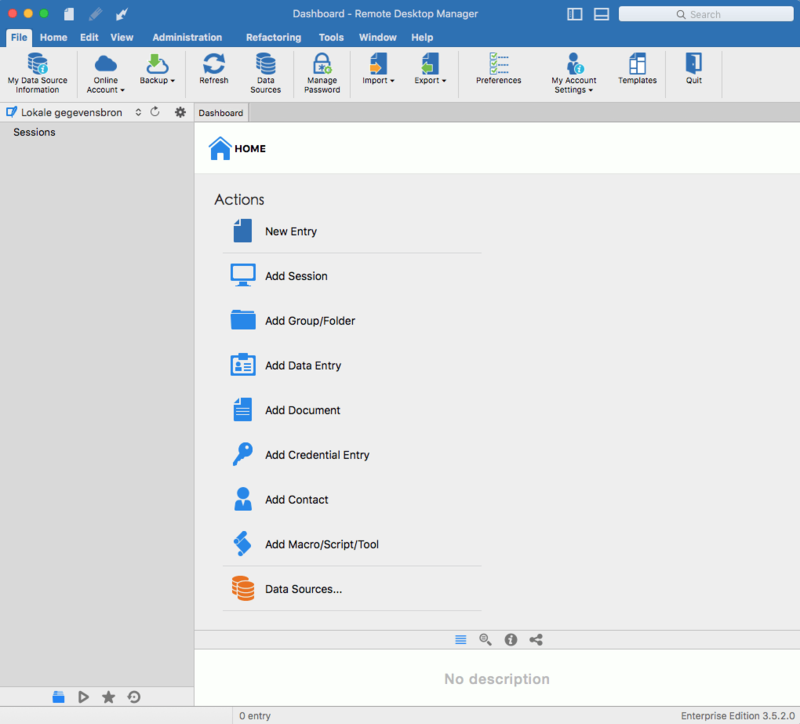 This app is loaded with all possible connection features, not only for home users but most of all for business administrators. Installing the software is easy and lets you register for the Devolutions cloud web-based service. The web account presents your credentials like: registered name, serial provided, invoices & quotes ,with clean layout and interface. 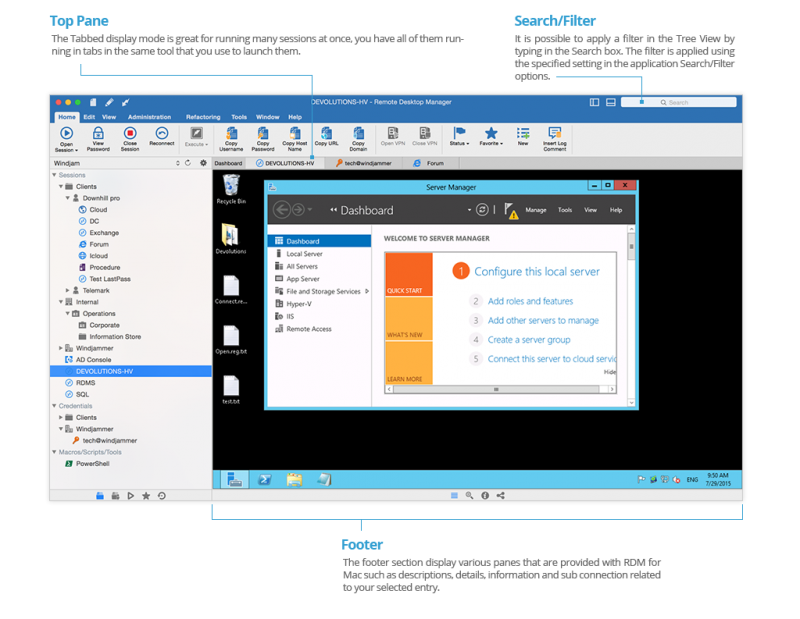 REMOTE DESKTOP MANAGER has so many options and features, they can’t all be mentioned and discussed in this review. The common Remote connections are endless and well presented in the interface. All protocols are supported, even the odd ones. 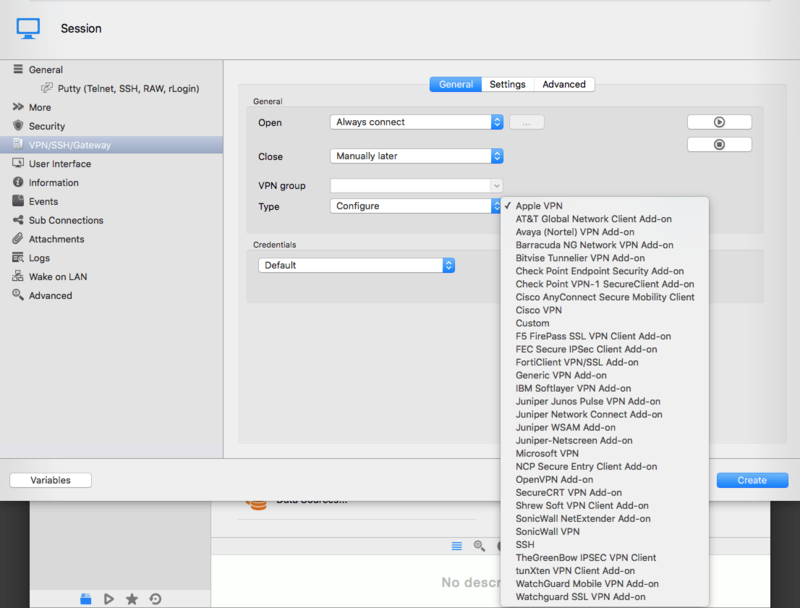 Again Remote Desktop Manager supports lots of connections like: Virtual Server , VM Ware , vSphere, Oracle etc etc. The list goes on and on. The capabilities of Remote Desktop Manager are great. It also supports most other password managers for integrating in RDM. It can work with different authentication methods and can even stop revealing administrators passwords to admins. RDM boosts a great security level all the way. 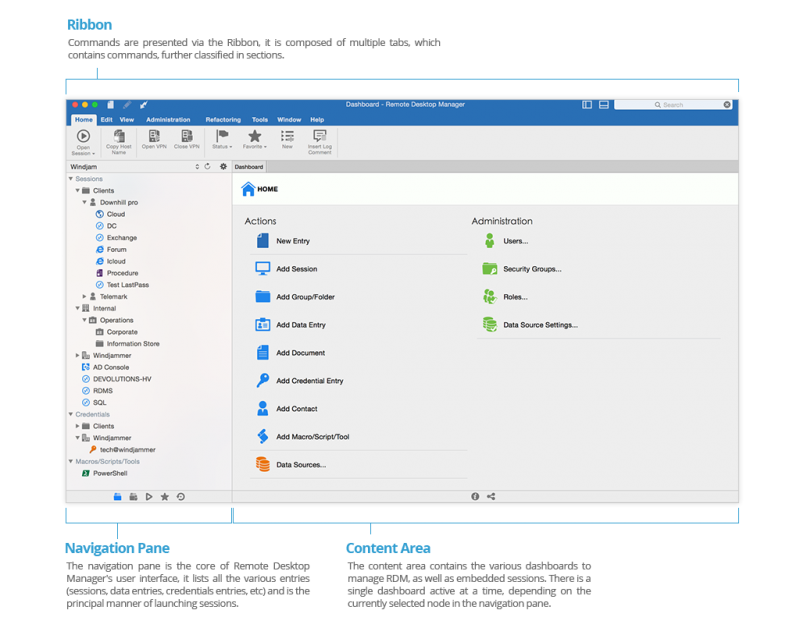 REMOTE DESKTOP MANAGER for MAC is the Swiss Army knife for company admins dealing with remote connections without restrictions. The best ever remote connections manager i’ve come across for a great price. My personal number one choice, if opting for a tool that does it all. care of to keep it smart. I cant wait to learn much more from you. of his site, since here every stuff is quality based data. this write-up plus the other parts of the website is very good. and do so! Your writing style continues to be surprised me.